Dixon is doing a great job in keeping this storyline intriguing. What are Cobra's plans for Nanzhao? He gives us clues by having characters such as Mainframe and Dial Tone ask the right questions, and even lets the readers in on information the Joes don't know. But it's a mystery that only the inner circle of Cobra knows, and I freely admit, I'm hooked. We've been teased with the upcoming Snake Eyes/Storm Shadow showdown for 5 chapters now, and once again, we are one step closer. Dixon purposefully draws parallels between the anticipation of the two ninjas fight in the present and their previous encounter in that country in the past (complete with hordes of Red Ninjas in both time periods). Cal's art seems to really stand out in this issue. It's been solid throughout this Cobra Command storyline, but this might be one of his best efforts yet. The scenes in the jungle with Snake Eyes, Helix, and the Red Ninjas were absolutely beautiful (J. Brown, the colorist, deserves a large part of this praise). Not only is Robert Atkins' Storm Shadow on the variant B cover one of the best depictions of my favorite character I've ever seen, he's included the wooded water reservoir that once served as Tommy's urban hideaway in the Marvel run. Very nice touch, Mr. Atkins! 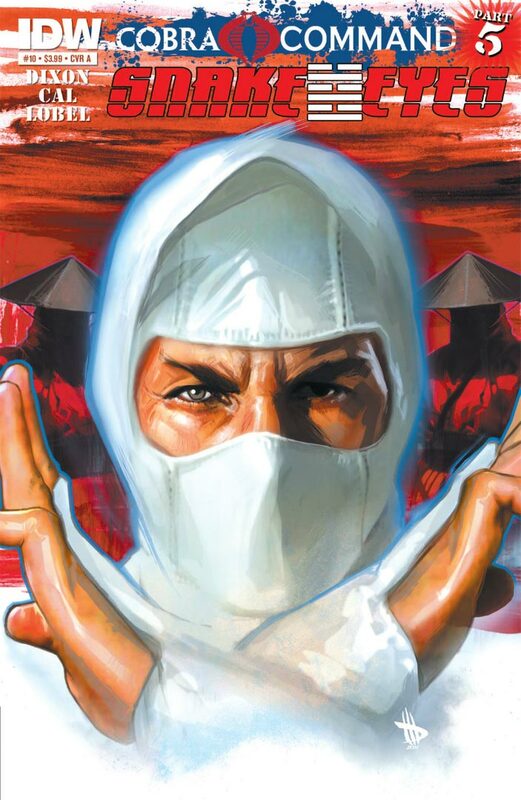 Ninja action can get repetitive after a while, but this serves as a very solid chapter in the Cobra Command storyline. Recommended.